Scotch whiskies that due to limited supply of aged stock and burgeoning Asian markets are now re-branded without an age statement. G’day everyone and welcome to the hot topic on the whisky airwaves right now. You’ve seen them lurking on shelves for years but most paid them no heed or saw them as an anomaly that, while possibly fun, couldn’t really be considered seriously. Well if you have taken an active interest in retail shelves near you recently, you will have noted that some very big hitting traditional brands have gone down this path and the response has been decidedly mixed but leaning more towards potential consumer backlash. If you want to read a really good mix of opinions on this topic then head over to All Things Whisky and read this very good article from my fellow blogger and whisky guru Curt Robinson. I have reproduced my comments here below just to reiterate a snapshot that was the first thing to mind for me when Curt asked me to pen something to contribute to the debate. 1: Scotch whiskies that due to limited supply of aged stock and burgeoning Asian markets are now re-branded without an age statement. The Scots (bless ’em) have spent a century educating the consumer that “older is better” now slowly but surely they are repositioning themselves and trying not to lose face or credibility with those same consumers that are still largely uneducated about the true nature of whisky. 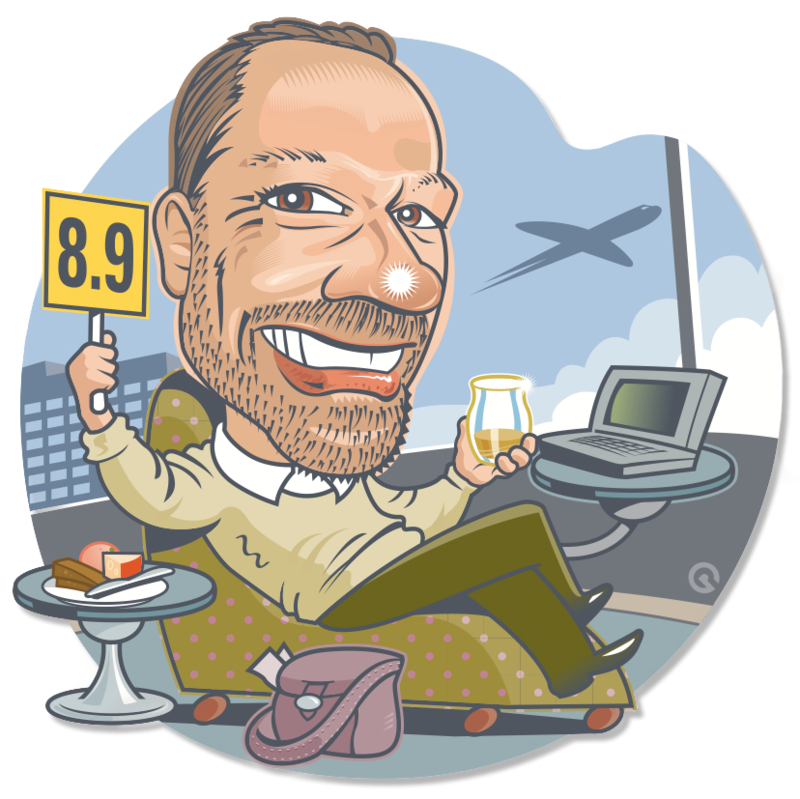 Most customers around the world willingly follow whatever is fed to them by the marketing powers but it seems already that there is resistance to this change, if the feedback I have been receiving from retail stores is any indication. 2: NAS whiskies, that by climate and location, age at a much faster rate than in Scotland. These whiskies by their nature should be NAS as the consumer would take any Age Statement and filter it through their Scotch taught knowledge that young age equals inferior whisky. Any of these distilleries that put an age on the bottle would be dooming their product to collect dust on the shelves. Angels share at 3% per year versus 6%, 10% 12% or even a whopping 18% has a big impact on how quickly a distillery can create a delicious and balanced whisky, potentially at a much younger age. In the long run there will always be Scotch whiskies produced that will have an age statement even if in much smaller quantities. The movement of Scotch Whisky distilleries to go NAS will really play into the hands of distilleries worldwide that are making great whiskies in a much shorter time frame. The playing field will slowly become more level and whiskies will be judged more on their merit and less on if they come from Scotland or not. This is underlined by the prices that the Scottish NAS whiskies are still fetching. For value, consumers will slowly but surely move over to flavorful and balanced drams from climates that allow the magic to happen faster. As a true believer in good whisky I have a lot of time for whisky at any age if it is well made and preferably balanced. In my experience working in the spirits market for almost 10 years I have seen how hugely successful the mantra of “old is better” has been for the Scotch Whisky industry. Today, I can with hand on heart fully agree with the adage that “old is a lot more expensive” however it is not necessarily better. The history of the rise and fall of whisky popularity appears certainly to all present in this time and space to have reached an unsurpassed rise. While many predict the imminent “bubble burst” I myself do not agree as we see true globalization and massive expansion into historically untouched markets. Single Malt has always been a rather finite and precious commodity with the vast majority of Scotch sales always falling into the blended category. It appears that a heck of a lot more people have, through either osmosis or marketing (a little of both I’m sure), developed a taste for our little “Single and looking for a date” friend. Is it all going to fall out of favor shortly leaving the faithful to blissfully go back to always having their favorite on the shelf at a decent price?? I rather think not. One of the most consistent and safest investments over the past decade has been……Single Malt Whisky. So now we have a truly blue chip trending stock that I would (and have) be putting my money on to continue to increase in value for many years to come. As I mentioned above, there will always be age statement whiskies if you are willing to pay the ever increasing price. If price is something (as it is for most of us) that you take into consideration when making your whisky purchase then I can foresee that Non-Age Statement Whiskies, if not already, will be a part of your dramming future very soon. This is a very chewy topic and one that is going to fire debate for decades to come. So, I will leave you with the above to think over in the coming week and next week we will put our palates back into action and test drive a couple of NAS whiskies from Scotland as opposed to faster aging versions as alluded to above in my quick take on All Things Whisky. It’s a changing world, but good whisky is still good whisky at any age even if you don’t know how old it is. Back in the saddle (Stampede finishes today) and on my own deck again looking at a bottle of one of my favorite Summer drams ever. 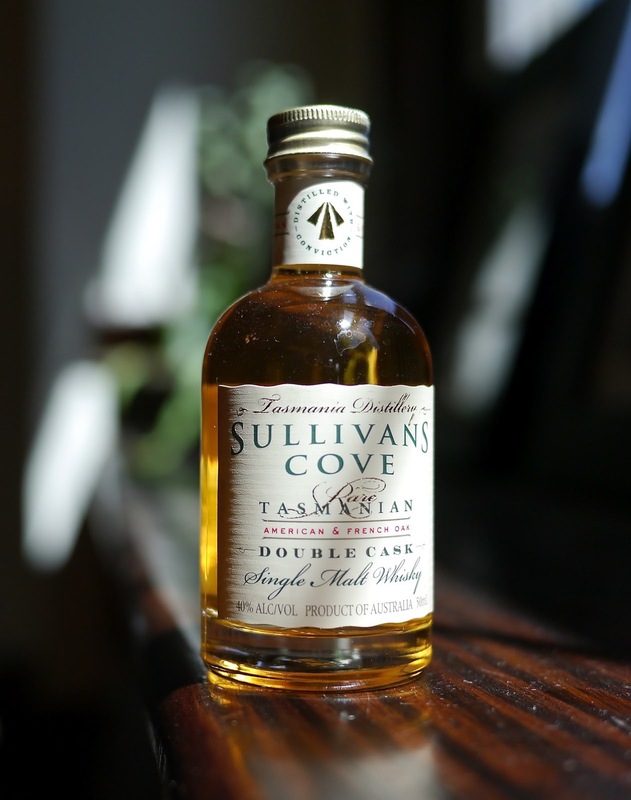 From a small and, until recently, relatively unknown distillery the Sullivan’s Cove Double Cask from Tasmania Distillery is the dram of choice for me on the deck. Tasmania Distillery received the lofty accolade of the Worlds Best Whisky this year for their French Oak Single Cask bottling (rare as hens teeth but worth looking for). Tasmania Distillery was our first foray into the world of spirits importing and we have spent a lot of time educating eager consumers about how good an Aussie Single Malt can be. Patrick has poured a ton of blood sweat and tears into the distillery which lies very unobtrusively in a little industrial park just outside of Hobart. Tasmania Distillery is really a perfect example of working through tough challenges and limited market acceptance with a dream and a fire to make great whisky. Australia has not been a good whisky market traditionally. Times seem to be changing however, and the Tasmanian whisky scene has played a big part in raising the profile of good whisky to the Australian punters. Hobart is a beautiful city and sitting down on the harbor with some outrageously good fish and chips and an ice cold Cascade … seems like a great place to set up a distillery. The whisky in question today is the Double Cask. combining whisky that has been aged in American oak with whisky aged in French oak the two are married together and decanted down to 40% over two weeks to avoid the use of chill filtration. To see a 40% ABV without chill filtering is unusual and I can say that even though relatively stable, Sullivan’s Cove Double Cask, can get a touch cloudy especially when kicking around in the back of my car in the middle of Winter. This is a sign of painstaking detail and craftsmanship that can only happen with small scale production such as that found at Tasmania Distillery. 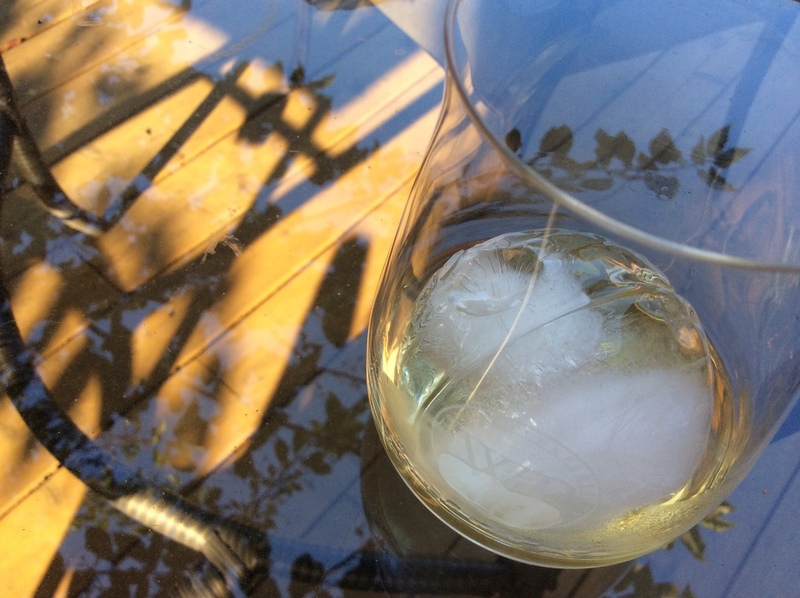 Here is a photo of my first effort freezing a Death Star Ice Cube (see blog #7) So this tasting is being done in a Spiegelau tumbler (only way I could fit the Death Star in there) and I am going for colder Summery goodness, so nose and palate will be a little restrained. Super fun and with the temperature hitting close to 30 degrees Celsius this is perfect. Just like a balmy Tatooine Spring day. Nose: Soft sweet honey and floral notes with cooling air coming off the Death Star seems a bit wrong somehow. Finish: Long and complex with light layers of honeyed fruit, poached pear with vanilla ice cream. Sullivan’s Cove Double cask definitely scratches my thirst quenching Summer dram itch. I hope you get a chance to enjoy this for yourself before our fleeting Summer is gone. Next week it’s time to talk ‘No-age statement’ whiskies as I was recently asked for my opinion on the topic by a good friend and fellow whisky nerd Curt at Allthings whisky. Good opportunity to wade in officially through this blog. Write in this week and tell me about your Summer favorites and if you can throw in an obscure Star Wars reference all the better. Until next week may the force be with you! This week finds me basking in sunny Victoria on the annual Glenmore Cricket Club tour to Vancouver and the island. Not normally a whisky focused time for me, with beer flowing profusely, darts and billiards the order of the day at the Sticky Wicket after a hard fought game of cricket. This year I decided to pack something a little special to tempt those whisky lovers in the group. 1997 Cragganmore Octave from Duncan Taylor bottled at Cask Strength 53.6% and only 48 bottles for the lucky few all exclusively available at J. Webb Wine Merchants (author’s note: this whisky is now sold out). Cask number 426431 – 16 years old from this well known Speyside distillery. 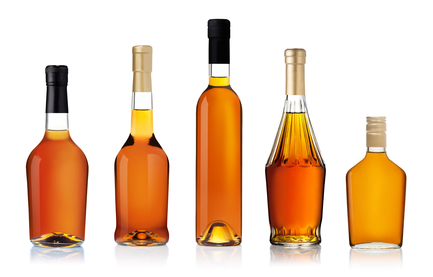 The concept of Octave’s is not new and many bottlers and distilleries have been playing with smaller barrels for decades. Smaller barrels create a far bigger impact on the whisky with a much bigger barrel surface area to whisky ratio. For their Octave range Duncan Taylor cooper up only sherry casks and this has a big impact on the whisky in a relatively short period of time. Sherry casks have become much rarer with Sherry sales dwindling over the past 100+ years and the popularity of Single Malts aged in those barrels soaring. By breaking larger barrels up and coopering them into octaves Duncan Taylor is able to create lovely sherry cask affected expressions of many different distilleries and styles. Each Octave is a completely unique whisky and with only such a small haul for whisky lovers to purchase they don’t last long on store shelves. Tasted after a Thornbridge Wild Swan cleanser in my hotel room in Victoria. Instead of one of my many whisky glasses this dram was tasted in an individually wrapped plastic cup (the best kind). I didn’t bother doing a water comparison. This is a no fuss quick take on this yummy whisky without any bells and whistles. 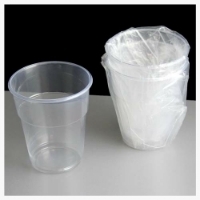 Nose: Even in the tall plastic cup the sherry absolutely bursts forth promising rich fruitcake and spice with not a hint of sulphur anywhere. Taste: at 53.6% it hits the palate softly with lovely dried fruits and a touch of glace cherry. Lovely rich ruby colour which shows how much the octave impacts the whisky with only 6 extra months of aging. Next week I’ll be back in civilization talking about one of my favorite Summer drams over the past 5 years. Write in and let me know about your best down to earth whisky experience. Maybe it was on a camping trip or out fishing. Sometimes whisky drunk rough and ready can be an awesome experience.